Want feedback during your sessions? PublicInput.com partners with 3CMA to provide realtime results via smartphone and text messaging. Participants in meetings can answer questions and you can show the results - both quantitative and qualitative - in realtime. To take advantage of this tool set, you will need to request a login from PublicInput.com to have access to the platform. Logging into the system is simple. If you do not have a log in, we can create one for you. 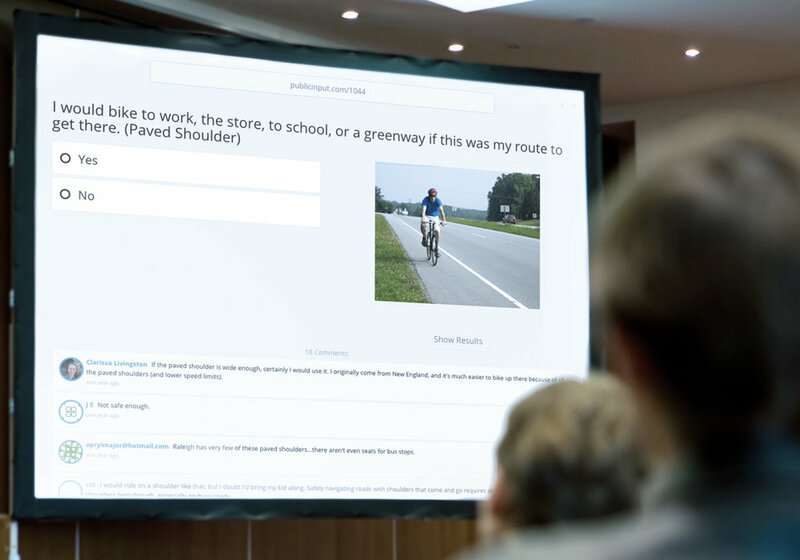 From there, you can navigate to your session to add questions and other content for participants to engage with. Add the questions you want on the survey page. If you would like to collect a unique email list, add a 'collect contact info' question for emails. If you desire to add text messaging, turn that functionality on in the "SMS" tab. From this area, you can add a code for participants to text into in order to participate without internet. If you'd like to take advantage of this unique tool set offered to presenters at the 3CMA National Conference, submit your information below to be added to the user list.